At THP, we believe that testing should be done not only by the staff here, but also by the golfers just like you. One of the cool features about being an active member of the THP Forum is that we look to you guys/gals, the consumers, to give feedback on equipment to golfers all around the world. Each month we send out iron sets, drivers, hybrids, putters, trainings aids and golf balls to our active members to be a part of the THP Forum Member testing. 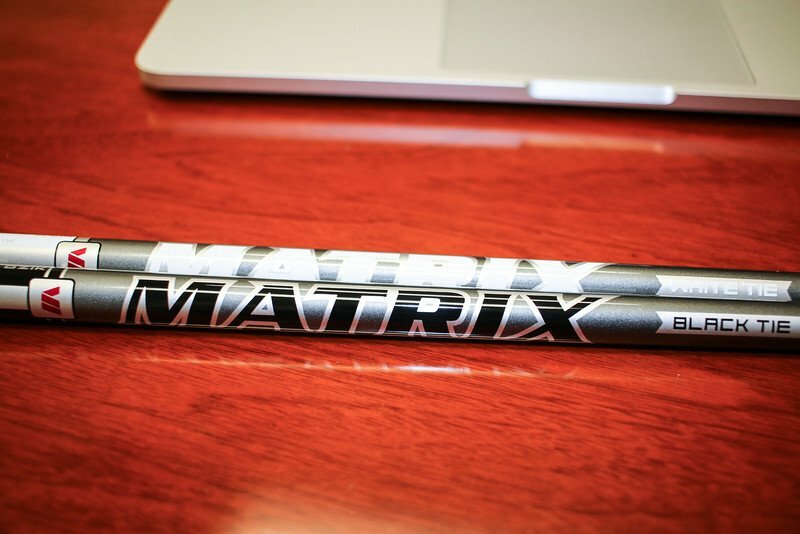 A new Matrix MFS line of shafts will be hitting the market in 2017 and we wanted to make sure there was feedback for those looking. Recently, THP and Matrix Shafts sent out Black Tie and White Tie shafts to members of the THP online community that were selected to review them. Their thoughts have been pouring in and they are incredibly detailed and well thought out from both practice and on course play. You can read all of their reviews, filled with every amount of detail you want to know about Matrix Black Tie and White Tie, here. I have had the pleasure of playing numerous shafts over the years. All of them good in their own right. Some spin great, some had great speed and some had solid launch. Sometimes they had a combo of a couple highlights. The Black Tie in x flex for me has all the aspects I need for my game. In the short time that I have had this in the bag I have seen nothing but extreme positives. The best driver/shaft I’ve had the pleasure of gaming. Being able to test the white tie in stiff flex has been a treat, I’m seeing higher launch than my gamer in the one testing session that I’ve had so far. The graphics and look are a clean design with a great color scheme. Thank you THP and Matrix for this testing opportunity. You guys have given some great feedback so far. I’m really looking forward to hearing how these continue to play for you. I love hearing how the different shafts react to different swings and reading about all the different options out there. I enjoy playing the version of the black tie supplied as the stock shaft in the Cobra F6+. I enjoyed reading about the upcoming versions of the black tie and white tie and look forward to trying them when they become available.